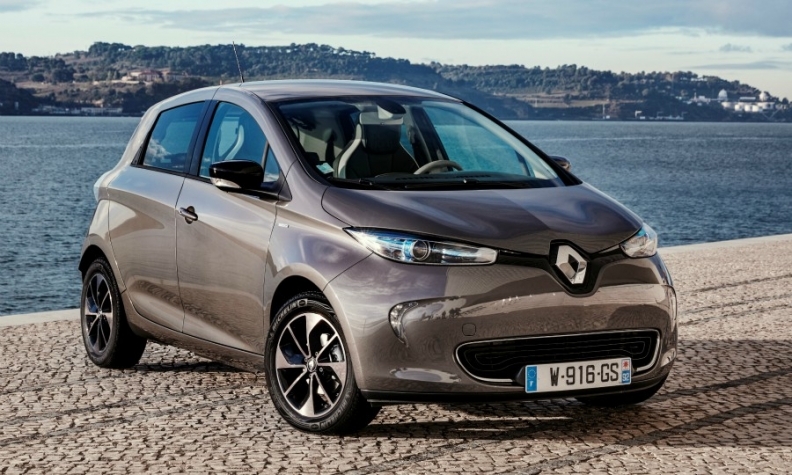 Renault extended the Zoe's range to 300 km (180 miles) in real-world driving. PARIS -- Renault's Zoe has been the best-selling full-electric vehicle in Europe for three years in a row, but the automaker is anticipating that the competition will get much tougher, and quickly. Zoe sales in Europe jumped 48 percent to 27,245 through November last year,, according to JATO Dynamics. Sales of its nearest competitor, the Leaf, from alliance partner Nissan, were flat, at 16,531. At the end of 2016, Renault doubled the Zoe's range to 300 km (180 miles) in real-world driving, or 400 km in test conditions, a figure that Renault electric vehicle program director Gilles Normand said crossed a "red line" for buyers. "2017 was about increasing the range," Normand said in an interview. "We are getting more customers from the mainstream market. It's no longer just the tech-savvy or eco-sensitive." "Fundamentally, the idea is to keep on making Zoe competitive in the marketplace, because we are anticipating more competitors will come, especially toward the end of the year," he said. Audi plans to introduce its e-tron Quattro this year, and Tesla's Model 3 could appear in significant numbers in Europe, though both cars are likely to be priced well above the Zoe, which starts at 23,700 euros in France. Volkswagen brand is planning to sell a family of I.D.-badged EVs by the early 2020s. Renault said it would introduce eight new electric vehicles by 2022 as part of its Drive the Future strategic plan. The next to appear is likely to be an electric version of the Kwid supermini SUV sold in emerging markets. Normand said that Renault is making a profit on each Zoe "measured on variable costs." However, he added, "we are not happy in that we are more expensive than internal combustion peer vehicles. We need to keep working hard to reduce costs." Some of that cost savings will be easier to find in the next generation of electric vehicles from the Renault-Nissan alliance, which will use a common platform, he said. Though Zoe sales have been rising strongly each year since its market debut in late 2012, electric vehicles still make up a tiny fraction of the European market. Renault planned for an annual production of 150,000 units, but many analysts expect the market to surge only in 2020 or 2021, when the next European CO2 emissions standards are rolled out. One country that has jumped ahead of the curve is Norway, where last year 52 percent of vehicles sold were electric or hybrid, thanks to generous government incentives. Volkswagen’s e-Golf was the best-selling model overall, and the Zoe trailed electric offerings from Nissan, Tesla, BMW and Kia. One potential side effect as electric vehicles gain popularity is shortages of battery raw materials such as cobalt, which could slow production and drive prices up. Normand said the alliance’s main battery supplier, LG, will be able to meet 2018 deliveries with any major issues. "We are not worried in the short term," he said. "In the long term, we are looking at how we can develop low-cobalt or cobalt-free technologies," including solid-state batteries. The first investment of the Renault-Nissan's $1 billion venture capital fund for mobility startups, announced last week at CES in Las Vegas, is in Ionic Materials, a Massachusetts company that is developing cobalt-free solid-state battery materials.